Type Select North Cyprus Overview Why to invest in North Cyprus? Why Bogaz ? In North Cyprus we have great climate with more than 330 sunny days per year! Even in January temperatures are rarely lover than 15 degrees! That gives you opportunity to enjoy sun even in the middle of winter! You will be absolutely enthralled by long golden sandy beaches, beautiful landscapes, unspoilt bays and clear blue seas. 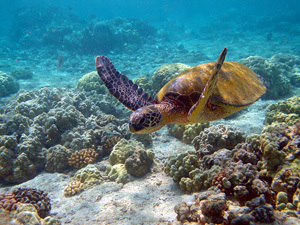 There are also a number of beaches where Turtles lay their eggs and you can watch them come ashore. You will be delighted by diversity of landscapes from the spectacular Kyrenia mountain ranges, long beaches of Famagusta to the nature reserves in Karpaz. Natural beauty is in abundance. During day North Cyprus offers you a wide range of activities. You can choose between walks, water sports, paragliding, karting, tennis, haunting, golf and others. During the night time for sure you are not going to be bored as well. Long and rich history makes North Cyprus special. You will find there a wide range of very well preserved monuments from nearly 3000 years history of the island begging with ancient city of Salamis, true Crusader castles and cities to Ottoman Mosques and palaces. You will have an occasion to take part in many exciting cultural events which are organized in North Cyprus. You can choose from wide range of concerts, traditional dance shows, international folklore festivals, exhibitions and many others. Cypriot hospitality is famous across the world. You will be always very worm welcomed in North Cyprus. North Cyprus is much cheaper than all other countries what gives you an opportunity to enjoy more for the same money. Excellent infrastructure with Larnaca international airport providing frequent and cheap flights to all countries in the world. Travelling from the South to the North requires from you no additional formalities as it is an open border.